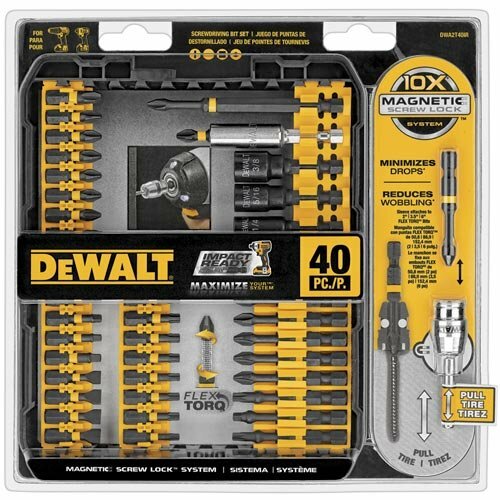 Amazon has DEWALT DWA2T40IR IMPACT READY FlexTorq Screw Driving Set, 40-Piece for $19.99. This is 50% off from the regular price of $40.00. Free shipping with a $35 order or free 2-day shipping with Amazon Prime.